Using marine plywood as the final deck surface aboard a vessel is a viable alternative to many other products. 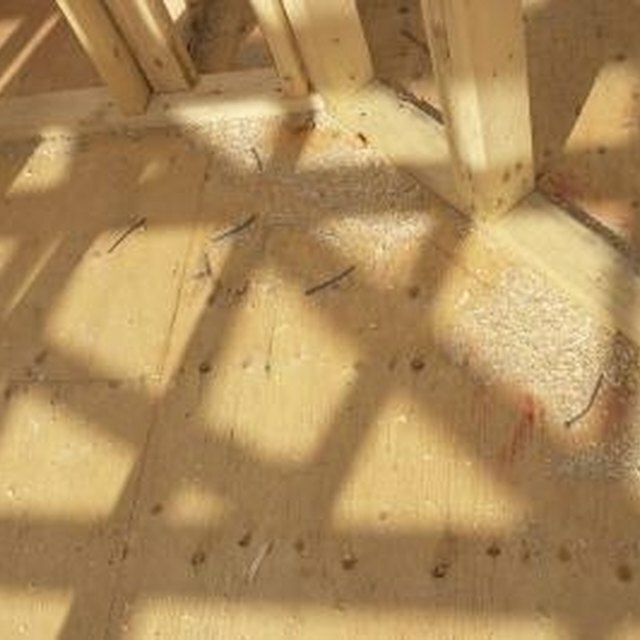 Marine plywood uses special water-resistant glues. Also, marine-grade plywood uses a better quality of veneer -- the exposed layer of the plywood -- than most interior plywoods, so that when you cut marine grade plywood, you won't have "a void in one laminate on a freshly cut edge," according to Professor Gene Wengert, retired Professor and Extension Specialist in Wood Processing, Department of Forestry, University of Wisconsin-Madison, in an commentary for "Woodweb." Spread a waterproof sealing compound on the top side of the plywood with a paintbrush. Apply waterproof sealer to the edges of the plywood. Cover the bottom of the plywood with waterproof sealer completely. Apply waterproof sealer to each edge of the new, smaller piece if you cut the plywood into smaller sections. Wear safety glasses, chemically resistant gloves and, if possible, chemically resistant clothing when working with waterproof sealer.